"That village, Ksan, where the mine collapsed on more than 13 labourers, is an example of how wrong things are." 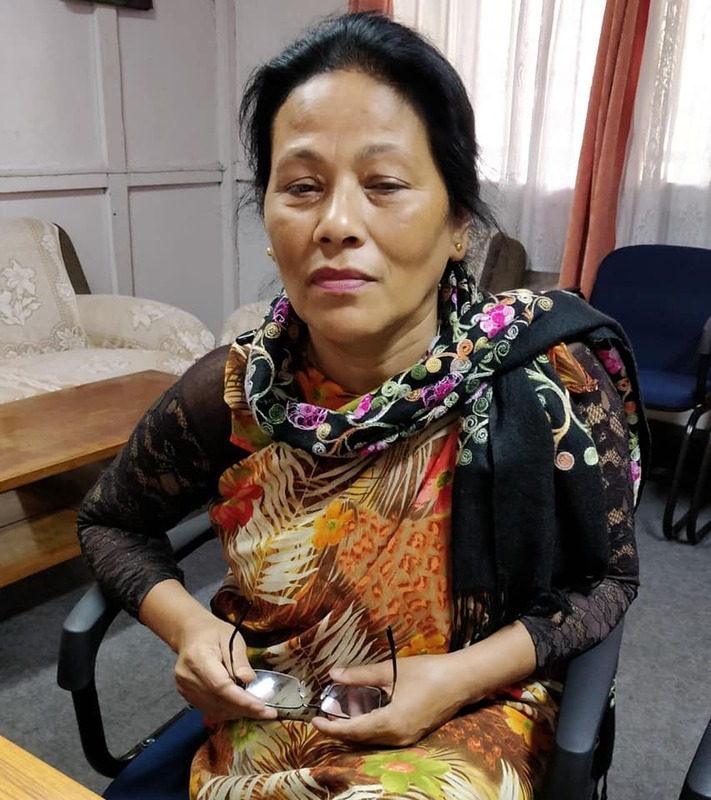 Shillong: On November 8, Agnes Kharshiing and Amita Sangma were brutally attacked by a gang in the Sohshrieh area of Meghalaya’s East Jaintia hills. Kharshiing, a well-known activist, and her colleague Sangma were visiting to verify information they had received – that coal had been mined illegally and transported out of the area in large quantities, despite a state-wide ban on ‘rat-hole mining’. 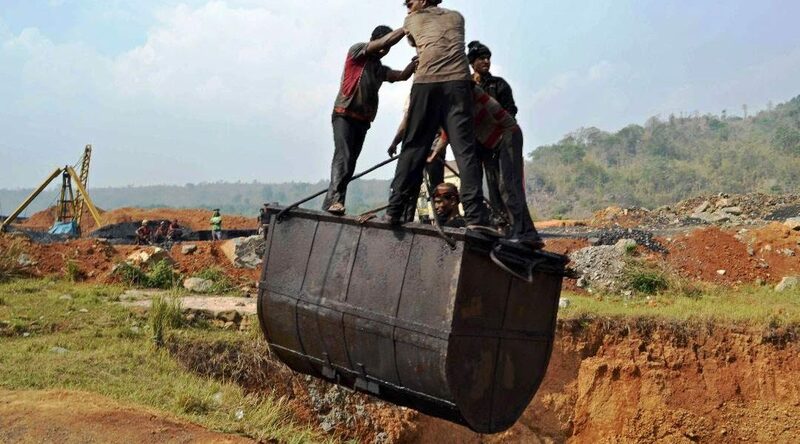 Although the National Green Tribunal, which forced the ban, had allowed transportation of already-mined stocks, it is widely believed that not all coal leaving the mines was from old stock. Local police rescued 55-year-old Kharshiing and Sangma from their attackers in a critical condition. Kharshiing spent more than a month in hospital in Shillong, before she was released on December 10. Six people have been arrested for the attack so far. The main accused, Nidamon Chullet, working president of the East/West Jaintia Hills of the ruling National People’s Party (NPP), is reportedly in hiding. The state government ordered an independent enquiry into the incident, but Kharshiing and Sangma have doubts about the quality of the investigation. They have demanded a CBI inquiry instead. The Wire spoke to the firebrand activist to learn what happened that day in Sohshrieh, in her own words. What led you travel to Jaintia Hills on November 8? Having been in this field for so long, I keep getting information – a lot of people regularly inform me about coal-laden trucks moving on the highway without papers, which is nothing but cheating the public and looting natural resources. It is a loss to the state, and the money from coal revenue is supposed to also fund the rehabilitation of the people affected by coal mining. So that morning, we decided to verify the information we have been getting. 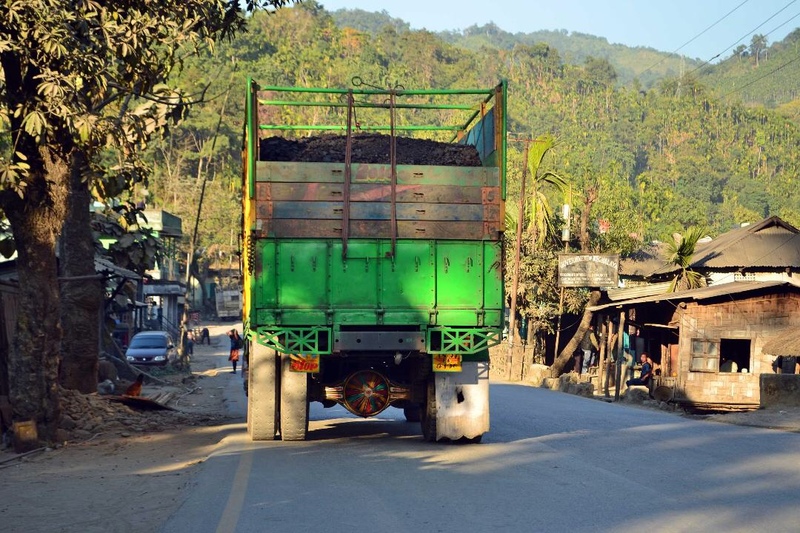 Before starting from Shillong, I called a senior officer to inform him about the coal trucks and the need to seize them as they were ferrying coal without making any payment to the government. 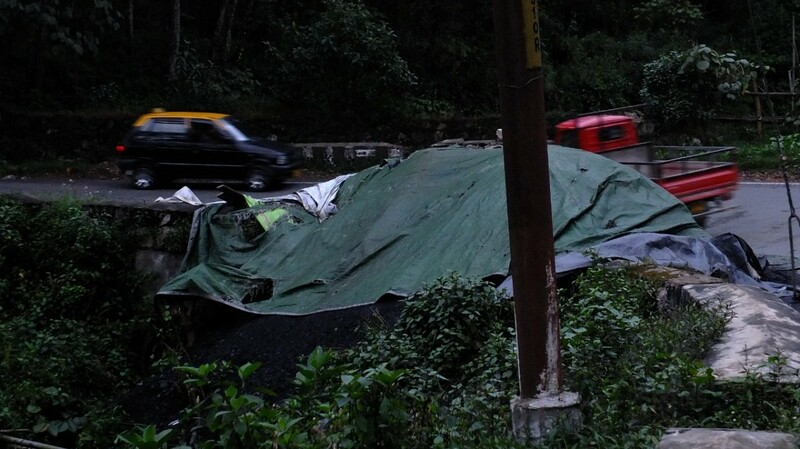 Just a day earlier, police confiscated many trucks with illegal coal on the highway to the Jainita Hills. Did you find any proof that confirmed the information? Yes, we found many waiting trucks loaded with coal. Before reaching Lad Rymbai, we saw police checking a number of trucks and three men were detained. Thereafter, we went to Kong Ong to check some trucks which police said had been stopped too. People looked at us suspiciously. I particularly remember a lady in a white vehicle. We took photos of those trucks and left. We then paid a visit to the Lad Rymbai police outpost to inquire about whether they had made more arrests. While coming out of it, we spotted a Scorpio car which had just arrived. A man in the vehicle covered his face on seeing me. Some policemen were with him. I waited outside, hoping to catch a glimpse of that man. But he did not come out. We left after some time and went to other nearby places. We spotted more coal-laden trucks on a road going into the countryside. It was then that Amita told me we were being watched. We went to another side-road and found more trucks parked. Again, we took photos. Then we realised that people were coming towards us. We got into the vehicle and tried to drive out, but by then a person came to the car window and asked if we could ‘negotiate’ with them. A crowd surrounded us. The road leading to the highway was blocked with vehicles. It was at that point we realised that we would be attacked. Did you recognise anyone in the crowd? I distinctly recognised one of them, later identified as Hamlin Rymbai. He has been arrested. I remember seeing him before, when we had some run-ins in that district earlier over illegal coal truck seizures by police based on information provided by local people. Hamlin hit me first and then the blows rained on me. I passed out after some time. I was found by police with Amita Sangma’s help. There has been a campaign to discredit you and your activism. Accusations are levelled against you for being insensitive to the woes of the poor people of the coal mining areas of Jaintia Hills who need a livelihood. They say your activism against coal-based livelihood is depriving people of daily bread. The poor people never attack anyone. They have no reason to. They eke out a living, whether in the coal areas or in the other parts of the district, mainly from agriculture. Livelihood is not dependent only on coal. Land was traditionally apportioned to villagers to use for livelihood; whether it was agriculture, stone or limestone quarrying, all were at a cottage-industry level. People lived in sustainable harmony with nature. Now it is different. It is the rich who are grabbing all the land. They are pressuring people to fall in line. Even in the case of the attack on me, it was not the common people who were out to kill us. We could see that the road was blocked by vehicles which meant it was the rich who were involved in the attack. Even people like Hamlin or Nidamon Chullet are not the real instigators. They are just the dalals of the big powers behind it. They get paid per truck, which they share with the authorities. The real owners never show their faces. It is corporate greed. It is destroying our land and environment. In the coal mining areas, people do not even have potable water anymore. Water is all poison, red and brown in colour. The rich can buy water from anywhere. But what will the poor do? So how can we say that the coal trade is for the benefit of the common people? The poor cannot speak up because they fear for their lives. If common people at all attacked me that day, it was because they were told to; they should think why they were asked to do such a thing. Will you continue your work after facing such a brutal attack? The attack has made me even more sure of what I am doing and why I should continue. My fight is for the poor people, for the survival of our people and the environment. If the government does its duty, there is no need for people like us. As long as persons who are paid a salary from public funds to look after the welfare of the people work exclusively for their political masters and the rich, the fight has to continue. I’ll definitely have to be more careful next time about my safety, but the fight will go on. Do you see your work making any difference to the situation? I wish it was. But the situation is getting worse. That village, Ksan, where the mine collapsed on more than 13 labourers, is an example of how wrong things are. Unless stringent steps are taken by the government to stop it, we will see more such incidents. The entire East Jainita district is ridden with deep mining shafts. The whole region is unsafe now. But the mining continues. All that coal being illegally transported by the coal mafia comes from areas where mining goes on despite the NGT ban. The government and the police should understand that the ban was put in place because everything was being done in an unsafe manner. We keep hearing the term ‘coal mafia’. Even politicians and journalists use the term. What exactly do you mean by it? It’s a network that allows illegal coal mining and transportation. It is a nexus of wealthy coal-mine owners and financiers with selected government officials, including from the police, and politicians of ruling parties. This nexus is clearly visible. For example, when we complain about trucks carrying coal illegally and police are forced to seize them, calls are made by the powerful to free them. Then, people are used to accuse us of depriving the poor of their means of livelihood. It is the big politicians who control the officials and cops. If any policeman sincerely works and starts seizing these illegal trucks, he is targeted, quickly transferred out. Look at what happened to the former superintendent of police of Ri-Bhoi district, Ram Singh. He was transferred out because he acted against the coal mafia. The power to transfer an officer lies with politicians; without them, this illegal business would not thrive. The NGT says the limit of coal to be carried per truck is nine tonnes. But the trucks we saw that day had about 30 tonnes and did not have any papers. Will the investigation ordered by the state government give you justice and expose the nexus? Without a CBI inquiry, I doubt that anything will come out of it, because it is a nexus. It may be that the government has changed and it is another party now, but it’s the same people overseeing it. They are all in it together. We want a change. We want the investigation by the CBI to ensure that the nexus will be exposed. Also, the government has to stop the lawlessness. We want the government to work for the people and not for the politicians and their private businesses. Linda Chhakchhuak is an independent journalist based in Shillong.